Our Community Sports Leagues wrapped up another successful basketball season April 2. Two champions were crowned: Harlem Village Academy Leadership (HVAL) on the boys’ side and Harlem Village Academy (HVA) on the girls’ side. Both games were competitive, and all players brought a high level of intensity to fight for the title. The boys title match came down to HVAL and New Design Middle School. New Design came into the game as the reigning champions and were looking to put an exclamation point on an undefeated season. Though the heavy favorite, Jay Jaudon, Jeremy Matute, and Deion Lewis stepped up for HVAL, scoring 40 points combined. Both teams fought for every basket. Ramsey Saleh and Alphanso Creary led New Design, scoring 16 and 15 points, respectively, but on this day, they were edged by HVAL, 50-43. The girls championship was close match between HVA and P.S. 180. Serenity Thompson and Danielle Andrews brought their A game to secure HVA’s 18-15 victory. Key plays from P.S. 180’s Tamia Daniels kept her team in the game until the end. It was a high-energy matchup, with HVA coming in as the favorite to take the win. HVA stuck to their game plan to bring home the championship title. 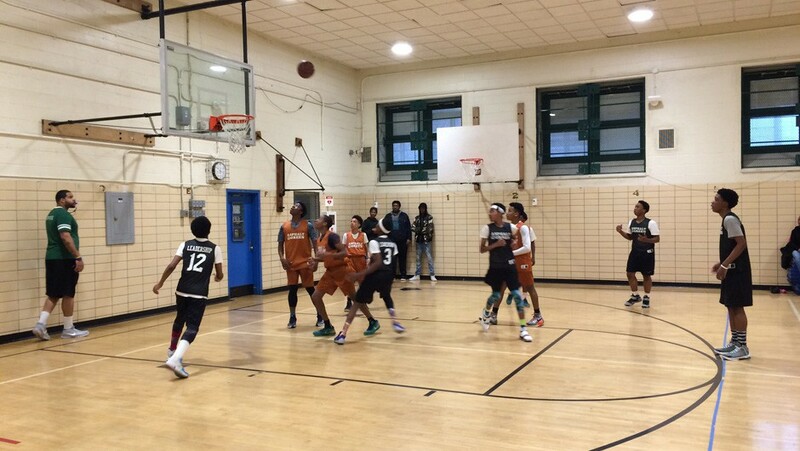 The talent in our Community Sports Leagues continues to improve each season. We can’t wait to see what the players bring to the table when the next basketball league begins in January 2017!